Monday morning walks can be a challenge, and today was no exception. Sasha was on high alert right from the start, with barks aplenty at anything and everything that moved. The incessant wind gusts didn’t help, either; this is one dog who does not appreciate leaves and dust swirling around her face. She was already worked up and fussy when we turned a corner and saw a group of young boys playing ball far down the street and several men visiting on the opposite sidewalk. Males of all ages, unfortunately, seem to be a trigger for Sasha, and she’s quick to voice her disapproval. The usual “leave it” and “let’s go” and “walk on” didn’t work at all, and she looked set to bark her way down the block–and it’s a long block. That’s when inspiration struck. Training Time! I’ve no idea why it never occurred to me to run a mini-training session in the neighborhood, but today was the day. It was wonderful to see her snap to attention when she realized what we were doing. We worked through the different positions to include both the right-side sit from front center and the left heel from front center and the “circle round me” heel to end in a sit on my left. There’s a limit to what I can do without dropping the leash, but I got creative with a few rounds of sit-stay, down-stay, and having her in a down while I walked around her and stepped over her to re-position myself. Sasha loved it. The generous dispensing of treats helped, of course, but this girl loves to be mentally challenged. After that little session, Sasha walked on, clearly pleased with her performance. She didn’t bark or even alert on the people as we went by, which is something of a minor miracle. (Hey, she’s a Sheltie. She talks. To everybody.) The people, however, certainly noticed her! One of the adults gave us a thumbs-up and a big grin as we went by. Training Time is typically on the 30-foot long line at the park, when we work on the long down-stay, recall, and down on command. 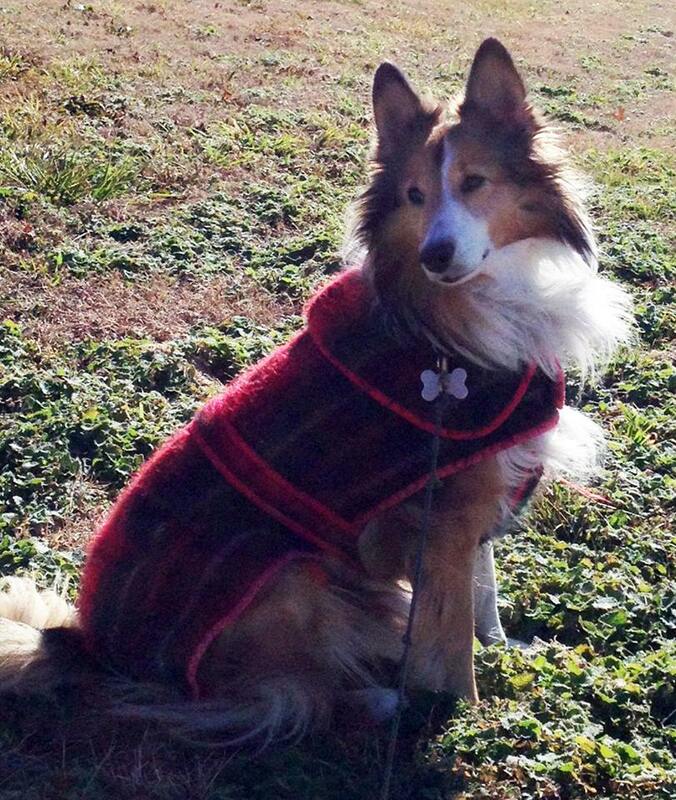 Smart Sheltie that she is, she knows the long line means play time and training, and she’s always ready for fun! And then there’s indoor Training Time, which goes back to our first days together when we realized that loud noises scared her and the sound of the coffee bean grinder sent her scrambling to hide. It took a long time, but now the sound of the coffee supplies coming out has her quivering with joyous anticipation, because she knows that it’s time to go through the paces and earn a treat. We’ve progressed to practice off-leash heeling in the house as part of Coffee Time Treats, with Buddy The Wonder Cat perched on a tall stool watching the action. Today’s session, though, is the first outside in the neighborhood while walking with the standard 6-foot leather leash. Now that I’ve seen how excited she became at the idea of a walk-time work session, we’ll be doing this again, and often. The BEST news, though, came thirty minutes later. We’d walked around the neighborhood and were approaching the local park when I saw an (always) off-leash dog and owner headed our way. I told Sasha “Cross” (I’ve taught her to pause on the sidewalk until she hears that command) and off we went, angling away from the unleashed dog. Sasha stayed focused on me and (of course) the treat in my hand. We actually passed within 20 feet of the dog without so much as a mumble, grumble, or growl. Now, it’s possible Sasha never saw the dog, although that’s highly unlikely, as she’s prone to alert on movement two blocks away. Whatever the reason, she stayed focused on me and walked calmly forward until I gave her a well-deserved reward in the form of a bigger-than-usual treat. We may never reach the point when Sasha is able to calmly walk past any dog without reacting, but today was a shining example of what’s possible. For that, I’m grateful. 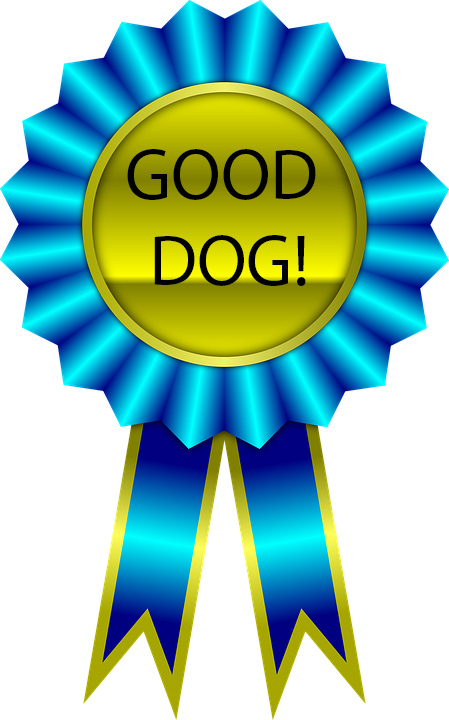 This entry was posted in Dogs!, Home page, Training and tagged Dogs, Leash Training, Ozark Summer Highlands Sasha, positive reinforcement, Training. Bookmark the permalink. Shelties are so smart. Sometimes it takes us humans a bit of time to catch up. Good job figuring out how to get a successful walk in your neighborhood accomplished. She’s going to want that jackpot every walk now! I’d be delighted to do that every day. Anything (well, almost anything) to keep her calm and happy! What a wonderful post! You’ve done such great work with Sasha! Thank you, Sue! Some days I wonder what I’ve gotten myself into, but days like this are just golden. Finding successful communications with another life form and tightening the bound – that is heart-warming. Happy for you!